We are working on creating a GIS data portal. In the meantime, feel free to contact us for data requests. Additionally, data such as parcel information can be downloaded from Snohomish County’s GIS website. Mukilteo GIS has added new high resolution imagery to our Historical Imagery Viewer application from 1947, 1955, 1965, 1974, 1978, 1984, 1991, and 1995. You can use the tabs along the top to switch between years and view the same location at 24 different points in history. The recent imagery was obtained from Snohomish County as scanned .tif images and georeferenced by City GIS staff. The images were then spliced together into seamless mosaic images and shared over the web. 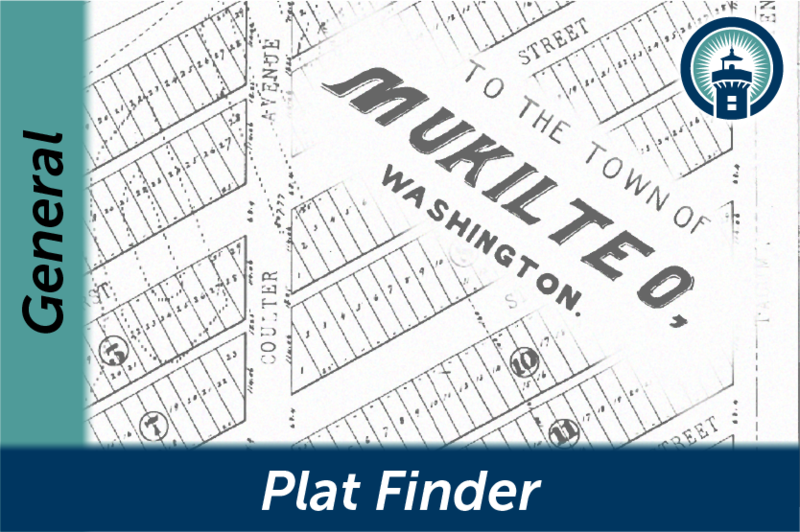 Mukilteo GIS recently updated the Plat Finder web application to several new types of property documents including Binding Site Plans, Boundary Line Adjustments, and Condominium Plats. We also added a few of the most recent documents recorded in Mukilteo. Use the filter widget in the left panel to find a specific document or type of document, or search for an address to see what documents are available in your area. A new web app is available on the MukMaps interactive mapping page: Master Signage Plans! You can use the map to find approved master signage plans anywhere in the City and download the full document. Master signage plans are prepared for all commercial, office or industrial projects and any multi-tenant buildings or group of buildings that have four tenant or occupant spaces on a lot. The plans stipulate requirements for entrance and monument signs, wall signs, complex identification signs and window signs within the specified area. More information about master sign plans can be found in section 17.80.100 of the Mukilteo Municipal Code. A new Terrain Basemap is now available in the Basemap Selector widget on most maps. It is based on 2016 LiDAR data and shows detailed slope and contour information.